When acquiring new equipment a crucial part of the preparation is to perform a market screening. The information collected during this phase has historically been based on data obtained from non standardized test conditions as it is challenging to provide a test facility representing a true circulation system or impossible to get equal test conditions which is the case when performing tests at a rig site. When various solids control equipment are tested indifferent test facilities and using various drilling fluids, screen configurations, and other test conditions (temperatures, formations, and heating, ventilation and air conditioning (HVAC) systems) it is difficult to compare test results. Examples of irrelevant test conditions are smoke tests of shale shaker without drilling fluid and capacity tests with water instead of drilling fluid. Due to the criticality of equipment selection, this verification test of solids control equipment has been performed to provide an offshore drilling and production rig with an objective basis for equipment selection. The test has been performed as part of an ongoing rig-upgrade project. The objective of this test has thus been to verify equipment supplier’s specification on parameters essential for solids control equipment performance. In the test, five different solids control solution (or shale shaker) have been tested. 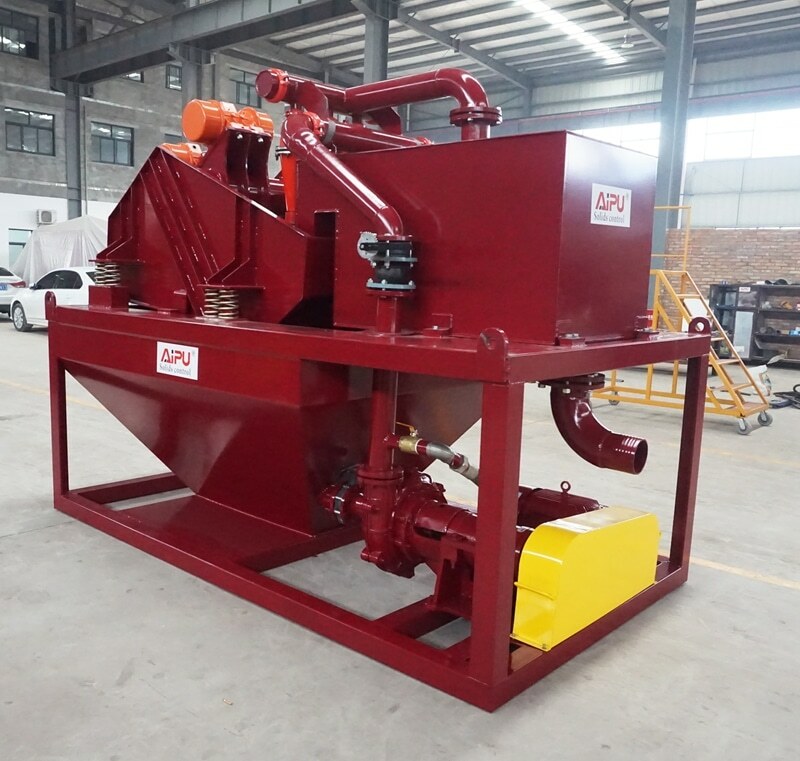 Four conventional shale shaker and one alternative solids control equipment unit based on vacuum technology were tested. 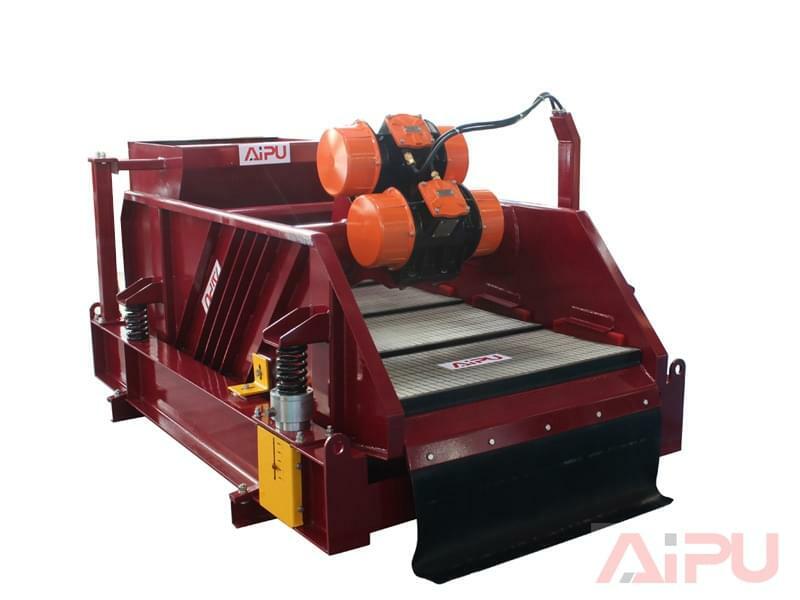 The traditional shale shakers include one double deck shaker and three triple deck shale shaker. The shale shakers are tested under as equal conditions as practicably possible with the only changing factor being the equipment itself. Three main areas of shale shaker performance were tested; capacity and filtration efficiency, operation and maintenance friendliness as well as HVAC and WE. The shale shaker test was a multidisciplinary test and is a result of cooperation between 13 companies. The companies are consultants, equipment suppliers and their distributors, the test center and the operator. This cooperation between several discipline groups has given comparable test results for several aspects of shale shaker’s performance, and consequently creates a unique database for testing of equipment under the same conditions. The test also demonstrates the importance of having focus on solids control equipment performance to obtain high drilling efficiency and satisfactory HSE conditions. This topic describes in detail the consequences of proper testing has on solids control equipment selection, how each element important for shale shaker selection was tested and the results obtained from the test. There is an economic incentive to base solids control equipment selection on reliable tests as efficient shale shaker will reduce drilling fluid loss and waste generated due to adherence on cuttings. Efficient drilling fluid solids control may also reduce the risk for breakdown of drilling equipment. Significant savings may be gained by running the equipment efficiently and it is therefore crucial to continuously monitor and optimize the solids control operations with respect to screen wear, screen selection, flow distribution etc. Optimization studies have demonstrated the importance of the operator’s skills and routines for inspection, changing, patching and washing of screens and to use the regulation possibilities of the equipment appropriately. If the efficiency of the shale shaker is considered as part of the procurement and good operational routines are implemented and maintained, the drilling cost for the well will be lower. The test methodology has been established through cooperative work between and written by discipline specialists to ensure the quality and relevance of the applied methodology. Stepby step procedures were made and followed for each of the tests for all tested equipment. The shale shaker test was performed at an onshore test center that can simulate the circulation system at a drilling rig. The test center is set up to provide equal test conditions for all aspects. The test center was also equipped with real-time monitoring instruments that continuously collected data for both drilling-fluid properties (flow rate, specific gravity, temperature, and circulating volume) and HVAC flow rates. The evaporation level of volatile organic compounds (VOCs) was monitored by portable VOCmonitoring instruments, and the VOC instruments were not an integrated part of the test center and were used on WE tests only. The total pump capacity of the test center’s drilling-fluid-circulation system is 4050 L/min (LPM). pollution but caused pressure loss, and the highest achieved ventilation flow rate in the HVAC system after the installation of the droplet separator was 7500 m³/h. The alternative solids-control equipment with vacuum was tested in an adjacent test cell that was tailor-made for this unit; the only difference between the two test cells was that this test cell was equipped with only ordinary room ventilation. The test conditions were kept as equal as practically possible throughout the test. The field-used oil-based drilling fluid used in the test was from the same batch and was stored in a reserved tank, circulated, and maintained during the test period. The waterbased drilling fluid used in the test was newly mixed for each shaker because the durability of the water-based drilling fluid degrades rapidly and the drilling-fluid properties would change during the test period. Analysis confirmed that the drilling fluids used to test the five shakers were comparable and as similar as practically possible. Test temperatures were 50C for water-based drilling fluid and 60°C for oil-based drilling fluid. of the PSD curves of other sandstone formations that the operator has drilled in the North Sea, Fig. 1 illustrates that the test sand should be highly representative of the challenges the screens are facing during a drilling operation in the field. To determine the maximal capacity of the shakers, the flow rate of the circulating drilling fluid was increased in steps while sand was added in each step to keep the same sand content, 1.9% weight/weight (W/W). This represents a drilling rate of 40 to 50 m/h in a 17 1/2-in. hole. The flow rate of drilling fluid above the shaker was increased until the shaker flooded, and the flow rate was decreased until the cuttings thrown off from the shaker stabilized, and the maximal capacity of the shaker was determined to be equal to the flow rate at this stage. The three main areas that have been focused on in the shaker test are capacity and filtration efficiency, operation and maintenance friendliness, and HVAC and WE; how these areas have been examined is described in the following paragraphs. All details of the test procedures and test results are not included in this publication because the testing was so comprehensive. The shaker-screen configuration also has a significant impact on capacity (Dahl et al. 2006). To obtain equal test conditions for all the shakers, the filtration screens were set to have a cutpoint equal to API 170 (API 2010). For double- and triple-deck shakers, the manufacturers were allowed to optimize the upper deck(s) screen configuration to obtain maximal flow because this has no effect on the fluid quality being filtered through the filtration screen. 2000 (Malvern) and Lasentec Focused Beam Reflectance Measurement Instrument (FBRM)—whereas the cuttings samples were analyzed by retort to determine the adherence of drilling fluid on the cuttings. Adherence of Drilling Fluid on Cuttings. The filtration efficiency of the shaker is also expressed in the ability to minimize the loss of drilling fluid as adherence on cuttings. Samples of cuttings from the shakers’ throw-off were collected at maximal capacity. The adherence of drilling fluid in the cuttings samples was measured by the retort analysis of cuttings, and the parameter is oil on cuttings (OOC). Measurements from the 1990s show a normal OOC content of 5 to 15% W/W. The analysis results of these tests are indicative only because of the challenges of collecting representative samples and the uncertainty in the analysis method itself. recirculated in the drilling fluid, and the cuttings are degraded into finer particles as they pass the pumps and re-enter the well. The finer cuttings give reduced drilling-fluid quality such as excessive viscosity and a higher loss of fluids over the solids-control equipment. The surface area of the cuttings increases when larger cuttings are degraded into many finer particles, and, consequently, the adherence of drilling fluid on the particles increases. When, and if, the finer particles eventually can be screened out over the shale shaker, the results are more drilling fluid lost as adherence on cuttings and more drilling waste to handle. The maximal processing capacity and filtration efficiency of the shaker should be related to screen wear because holes in the filtering screens might give a higher maximal capacity and a reduced filtering efficiency. New or fully repaired screens were installed at the startup of the capacity tests to ensure representative capacity and filtration results. Shaker screens were inspected before and after test runs as part of the test procedures; the API size and the general condition of the screens were observed before and after each test. Number and type of holes, tendency to corrosion, clogging, patching method, and user friendliness of the screens were noted. A post-analysis of shaker-screen wear was made with optical techniques. blinded screens in the shaker, filling the shakers with water, and observing how fast the water was leaking out from the shakers. The leakage test was performed with the shaker turned off (static-leakage test) and with the shaker running (dynamic-leakage test). The shaker derived from vacuum technology has a rotational screen; thus, the same leakage-test procedure as for the conventional shale shakers could not be applied for the vacuum shaker. An alternative procedure was applied on the vacuum shaker in which leakage between the blinded, rotational screen and the side of the shaker was examined for the same time interval. Because of difference in technology, the leakage test could be performed only in static mode for the vacuum-based shaker. Experience has shown that adding lost-circulation material (LCM) to the drilling fluid can significantly improve the formation strength. One of the practical means for maintaining the correct particle content and size distribution has led to the development of multiple-deck shakers that enable the possibility of recirculating particles of a specific size range back to the drilling fluid (Omland et al. 2007). By use of this function, the recovered LCM material may be used again, and the addition of LCM material to the drilling fluid for each cycle into the well can be avoided. The recycling of the LCM material has both economic and environmental benefits. Because the shaker operator is the primary stakeholder for proper solids control, user-friendliness and maintenance checks were performed. This would include an analysis of parameters such as accessibility to critical components, ease of screen replacements, and ease of cleaning. The operation- and maintenance-friendliness checks of the shakers were performed by a maintenance specialist who assessed these aspects while the shakers were installed and running in the test center. The shaker room is one of the hot spots for personnel exposure to chemicals on the drilling rig. In the WE part of the test, the compounds in the test cell were measured with different flow rates of drilling fluid and HVAC system, and different solutions of enclosure of the shakers. The WE test was closely linked to the HVAC test. The organic compounds measured during the shaker test are oil vapor (OV), oil mist (OM), and VOC. To obtain an acceptable WE in shaker rooms, various solids-control solutions have different ventilation requirements. For each of the tests with oil-based drilling fluid, analyses were performed detecting the VOC, OV, and OM levels in the test cell as a function of air-flow rate. The basis for the test was to use the manufacturer’s standard shaker products. However, several of the manufacturers supplied their shakers with custom-made front hoods during the test period to improve their standard product. Customizations were also performed for some of the hoods to improve the test results. Most of the shakers participating in the test had a front hood or other solutions for enclosure as a means to limit the diffusion of compounds in the working atmosphere. The front hoods and enclosures demonstrate some of the technology development caused by the shaker test because front hoods are not common equipment on shakers. Only one of the tested shakers delivered a front hood to the test that was already standard equipment and not designed especially for the shaker test. Another supplier manufactured a provisional front hood during the test, and one shaker included a prototype enclosure. The alternative shaker/filtering unit derived from vacuum technology has a fully enclosed design, and there was no need for further improvements. And finally, one supplier designed a front hood and tested it after the shaker test was finished. The front hoods and enclosures from the different suppliers display diversity of design, but the solutions all have the common purpose to cover openings in front of and above the shaker to limit diffusion into the shaker room and to facilitate the extraction of compounds through the HVAC system. The objective of the WE test was to verify if the supplier recommended that HVAC flow rate was sufficient to achieve an acceptable chemical exposure in close proximity to the shaker. The levels of VOC, OV, and OM were measured to quantify the chemical exposure of the WE. An alternative test methodology was used to carry out the WE and HVAC tests. The procedure was derived from the parallel use of the conventional OV/OM sampling with subsequent laboratory analyses, and a real-time monitoring instrument for VOC. The test setup required immediate feedback; thus, it was significantly important to include real-time monitoring to enable the navigation of variables. Comparing OV/OM results from laboratory analyses with real-time VOC monitoring represents a new methodology and a possible technology development. Millipore filter cassettes were loaded with glass fiber and cellulose- acetate filter. The pump flow rate was measured before and after sampling with the Bios Defender 717-510MA electronic flowmeter. Sampling time was 1 hour to avoid overexposure of the filter. Two parallel samples were taken at each sampling point—in front of and on the right side of the shaker. The charcoal tubes and the filters were stored in airtight containers and sent to an external laboratory where one dedicated chemist extracted and analyzed samples by high-performance liquid chromatography. Consequently, it took weeks until the levels of OV and OM were known; thus, that information was impossible to use as a navigational tool to determine the next step in the test. The direct-reading instrument for VOC (MiniRAE 3000 photoionization detector, Rae Instruments) was used to analyze the variations in the concentrations of organic vapor. Sampling points were in front of and on the right and left sides of the shaker, and they produced real-time data and displayed the level of VOC immediately. The MiniRAE indicated whether the HVAC flow rate was sufficient or not, and consequently the output from the Mini- RAE was decisive for settling the next step in the WE test on the basis of the shakers performance at the current drilling-fluid and HVAC flow rates. The WE tests were conducted after the maximal capacity of the shaker had been determined, at 90% of maximal drilling-fluidflow rate. The WE test started with the HVAC flow rate as specified by the supplier, and the HVAC flow rate was increased or decreased according to the VOC readings from the MiniRAE detector. The OM/OV method was first used to document the levels at the supplier’s specification for HVAC flow rate, and second used to document at which HVAC flow rate the OV/OM were at an acceptable or lowest possible level. The acceptance criteria (AC) for OV and OMare given as occupational exposure limits (OELs). The operator’s OELs applicable for Norway are given in Table 1. Currently, there is no specific limit or AC for the measured VOC level, but for evaluation purposes in this project, 30 ppm was used as the acceptance criterion. However, the operator’s design criterion is one-sixth of that value. a * The measured levels of OM/OV are adjusted for a 12-hour offshore schedule. For an 8-hour shift, the OELs are 1 and 50 mg/m3, respectively. b * For VOC, there are no official OELs. For evaluation purposes in this project, 30 ppm was used as the acceptance criterion. Specific noise and vibration analyses were performed with the equipment running in normal operating mode. If different operation settings were possible, the noise tests were to cover all relevant operation conditions including running dry. Noise measurements were carried out with ventilation extraction as specified by the supplier. The tests were performed with 90 and 100% of maximal-capacity fluid flow, and with the shakers running without drilling fluid. According to the operators’s WE requirements, the area noiselevel limit for a shaker area is 85–90 dBA (dB A-weighted). Where the lower limit is unfeasible, a maximal area noise-level limit of 90 dBA shall apply. The reason for unfeasibility of 85 dBA shall be documented. The operator’s requirement for Aweighted noise exposure level normalized to a nominal 12 h working day is LEX,12h ¼ 83 dBA. Sound power level (SWL) was measured according to the standard ISO 9614-2. Sound pressure level (SPL) at a 1.0-m distance from the unit was derived from the measured SWL. Vibration measurements were carried out on the shaker skid (primary structure) to evaluate vibration-transmission effects. The mean value of the vibration level of all the support points is given in octave bands from 31.5 to 2,000 Hz (structural noise/vibrations) and in third octave bands from 1 to 80 Hz (human vibrations). Presentation of Data, Results, and Discussions. According to agreements with the shaker suppliers, all performance results are presented anonymously, and please note that the results presented in the charts cannot be related to a specific shaker. The performance results displayed on the y-axis of the plot are randomly distributed on the x-axis, and the results illustrate the diversity in performance. Previous PostPrevious Solids Control Equipment: Shaker, Mud Cleaner, Desilter, etc.